Whether you are in the process of buying or selling a home, or refinancing, the transaction will culminate in the closing. This is when all the parties involved in a real estate deal execute the necessary documents to make it effective. At Pulgini & Norton, we have represented buyers, sellers, and lenders in numerous closings. A Boston real estate closing lawyer can identify and address legal issues that arise prior to the closing date, explain the various documents presented to you, and help you complete the process in a timely manner. The closing is the final stage of a real estate purchase or mortgage refinancing. It typically involves the finalization of numerous agreements between the seller, buyer, or lender and an explanation of the relevant documents that affect the transaction. The process for closing a home purchase and refinancing are similar, but there are typically more documents and parties involved in a home purchase than a refinancing. For instance, a home purchase requires a quit claim deed or a 6(d) certificate if the property is a condominium. The seller and his or her attorney are also present at the closing. 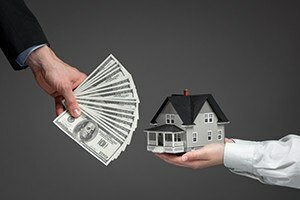 Distributing funds accordingly and paying off any prior mortgages or liens. An attorney may delegate administrative functions to a non-attorney, but the closing itself is a process that requires an attorney’s guidance, whether you are the buyer, seller, or lender. While a real estate transaction culminates in the closing, the process leading up to it is vital to its smooth and timely execution. If you are the seller, your attorney will typically draft the purchase and sale agreement and the deed. The purchase and sale agreement not only memorializes your rights and obligations but also sets a date for the closing. You will need to address any issues that arise between the execution of the purchase and sale agreement and the closing, such as any clouds on your title to the property and any problems that arise during the buyer’s inspection of the property. If you are a buyer, the real estate purchase likely will be one of your largest investments. The purchase and sale agreement details your obligations to ensure the closing goes smoothly. You will need to get a mortgage commitment from a lender by the date specified in the mortgage contingency clause. These funds will be disbursed on the closing date. You also will need title insurance to protect you from any defects in the property’s title, such as an undischarged mortgage or a fraudulent transfer. There are various ways in which you can take title to the property, and there are tax consequences involved in owning a home. We can advise you on the legal ramifications of your purchase, coordinate your efforts to secure a mortgage and title insurance, and act as the closing agent for your lender. The property transactions attorneys at Pulgini & Norton offer meticulous advice in closing home purchases and refinancing near Boston. Our real estate attorneys can advise you at every phase of the process to identify and address any potential obstacles that could affect your goals. At the closing, we will explain the documents involved in effectuating the transaction and tackle any issues that may arise. As attorneys, we can analyze the pertinent documents to the transaction, coordinate the recordation of the deed and mortgage, and ensure that funds are distributed in a timely manner. We also serve clients in Somerville, Cambridge, and Malden, among other communities. Call us at 781-843-2200, or contact us through our online form, to schedule a consultation today.